In fall 2016, visitors to the Neuberger’s Frank and Anita Holocaust Resource Collection on the fourth floor of the Lipa Green Building, can access over 50,000 Holocaust Survivor testimonies from the USC Shoah Foundation’s Visual History Archive. These are available on computer kiosks and assistance is available from the librarian. These testimonies, that have been digitized and fully indexed, bring to life the pre-Holocaust lives of survivors and their families as well as the experiences of the Jews who faced genocide during the Second World War. They speak to horror, murder and despair, but also courage, hope, and the ability to rebuild. The Visual History Archive features these testimonies from the Holocaust as well as testimonies from other genocides, and is the largest archive of its kind in the world. It utilizes state-of-the-art infrastructure to digitize, index and integrate videotaped Holocaust testimonies taken by other organizations around the world into its Archive. Now, over 1,200 Canadian Holocaust Survivor Testimonies are part of this important resource. In 1988, the Holocaust Centre of Toronto (now known as the Sarah and Chaim Neuberger Holocaust Education Centre) began a project to interview Toronto’s Holocaust Survivors. The interview process was designed and directed by historian Dr. Paula Draper and was supported by Nathan Leipciger, Elly Gotz, and Max Eisen along with other members of the committee. Over 400 Holocaust Survivors were interviewed and they spoke about their family life before the war, their survival during the Holocaust and their eventual arrival and life in Canada. Similarly, in 1989, volunteers with the Montreal Holocaust Memorial Centre began conducting interviews with survivors in a small studio at the Centre, collecting 550 recorded interviews. 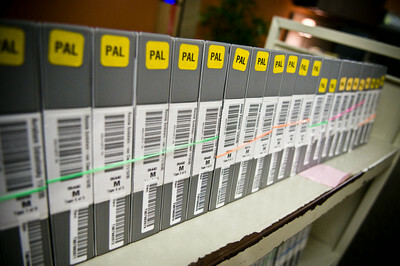 These interviews; along with other recorded testimony collections from McGill University, Canadian Jewish Congress Charities Committee National Archives, the Centre for Oral History and Digital Storytelling at Concordia University, Ottawa Jewish Archives, Freeman Family Foundation Holocaust Education Centre and Jewish Archives and Historical Society of Edmonton and Northern Alberta, and Calgary Jewish Federation; have become part of the USC Shoah Foundation’s Canadian Collection, a part of their Visual History Archive.These 1,253 Canadian testimonies have been digitized, fully indexed, and preserved to serve the purposes for which they were so painfully recorded, clarifying the Canadian story in relation to the Holocaust and Jewish immigration to Canada post-1945. Without this initiative, many of these smaller Canadian collections of testimony would be at risk of deterioration. At these kiosks, visitors have the opportunity to listen to these testimonies, do genealogical research, explore the cities where their families originated, and delve into the Visual History Archive for various school projects. As the current generation of students will be the last to experience the in-person survivor testimony, this initiative is more important than ever for both educational purposes and for providing this community the opportunity to hear their own family’s histories in perpetuity. The sheer volume of indexed testimonies allows for in depth research, revealing historical specificity and details about the Holocaust experience.